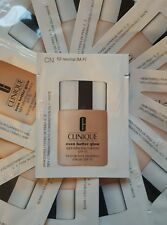 Cliniqie Fresh Pressed Clinical Boosters - Day and Oovernight - Brand New. Condition is New. Dispatched with Royal Mail 1st Class. OVERNIGHT MASK. TRIAL/SAMPLE SIZE. Important Information. Also different computer settings affect colour. It is nearly impossible to replicate colours. Clinique Smart Custom-Repair Set. For dry combination skin. Lid colours may vary. Daily and Overnight Boosters. FRESH PRESSED CLINICAL. Pure Vitamin C 10% powder concentrate is sealed in an air-proof chamber. Uses New Auto-Replenishing Technology with caffeine to trigger skin's own rehydration system. For very dry to dry combination skin. 30ml / 1.0 each ~ Full Size. Size Type Full Size. Size : QTY : 1. International : varies by location, however expect everywhere from 2 to 5 weeks. Travel Size 10ml. CLINIQUE SMART. Custom Repair Serum. Fragrance free. Clinique All About Eyes. 15ml tube ~ full size. 100% authentic. New & unused. Sample card ~ Vitamin C ~ 1.5ml, Vitamin A ~ 1.5ml. Clinique Clarifying No.2 Lotion 200ml Twice A Day Exfoliator NEW & UNUSED . Condition is New. Dispatched with Royal Mail 2nd Class. 15ml ~ travel/sample size. Good for travel or for trying before purchasing a full size. 100% authentic. It is nearly impossible to replicate colours exactly. Also different computer settings affect colour. It is nearly impossible to replicate colours. this has been split from a larger set. Add to Favourites. Clinique City Block Purifying Charcoal Mask Scrub. 100ml ~ full size. 100% authentic. Transforms from a solid balm to a silky, fluid oil upon application. For all skin types. Facial Cleansing Balm. 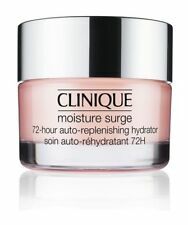 CLINIQUE MOISTURE SURGE OVERNIGHT MASK 100ml. Colour of lids may vary. SMART CREAM. It is nearly impossible to replicate colours exactly. Also different computer settings affect colour. Important Information. marked not for individual sale. Liquid Facial Soap Mild 200ml. Contains all benefits of Clinique famous facial soap. Provides gentle cleansing without stripping. 72-Hour Auto-replenishing Hydrator. 15ml travel/sample size pot. New & unused. 100% authentic. Clarifying Lotion 3 200ml. Improves the quality of skin texture. We will always do our best to help. If we are notified of an issue, this may be extended. After use, skin will look soft, hydrated and radiant with a healthy glow. Skin looks youthful for longer. Quick absorbing. FULL SIZE 100ml. Worth £26! Unopened and untested. 100% Authentic. Clinique, long last glosswear, colour 12, kissyfit. Clinique, long last glosswear, colour 12, kissyfit.. Condition is New. Dispatched with Royal Mail 1st Class. Clinique Liquid Facial Soap Extra Mild. New & unused.